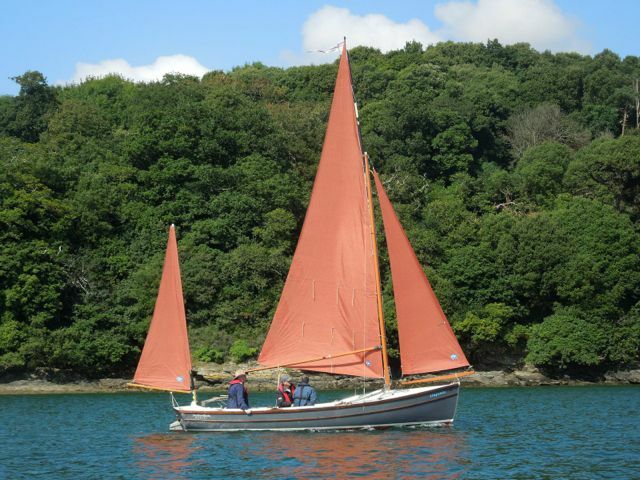 Llafurio is a Bay Raider (BR20) built by Swallow Boats of Wales in 2007. Length 6.05m, beam 2.05m with Glass-Fibre Reinforced Epoxy (GRE) hull – slightly unusual, as most Bay Raiders are of GRP or Epoxy Plywood construction. I have owned her since 2014 and she spends much of her time by the river Thames near Henley, not sailing but for river trips under motor, and travels away on her trailer for occasional sailing trips and raids. She has four crew for this event, all members of the Henley Whalers, some of whom have taken part in previous Dorestad raids and are looking forward to returning.